Governments are using media organizations as proxies in an effort to control the information citizens can get from the Internet, says former MI5 officer Annie Machon. The fake war against fake news is predicated on a big lie, she added. 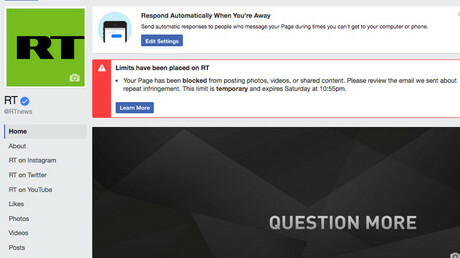 RT was blocked from posting content to its Facebook page during the live broadcast of Barack Obama's final news conference over an alleged copyright infringement. 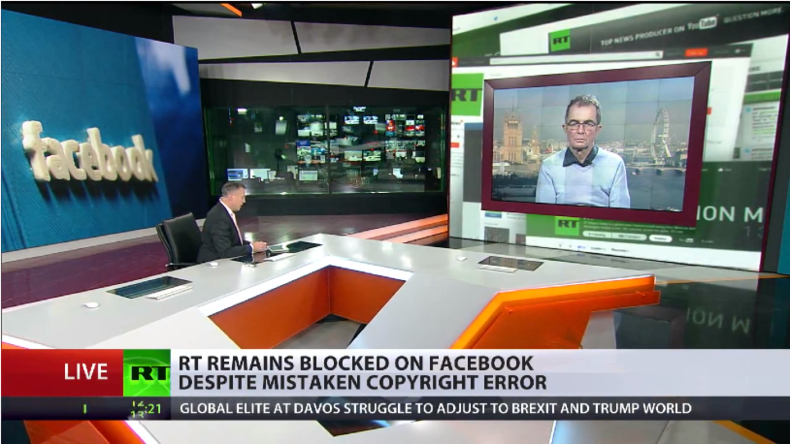 Facebook has restored RT's ability to post content to its page on the social network, following an as yet unexplained blackout that lasted for some 20 hours. RT: The news outlet was mentioned as triggering a Facebook alert and says it's not them. 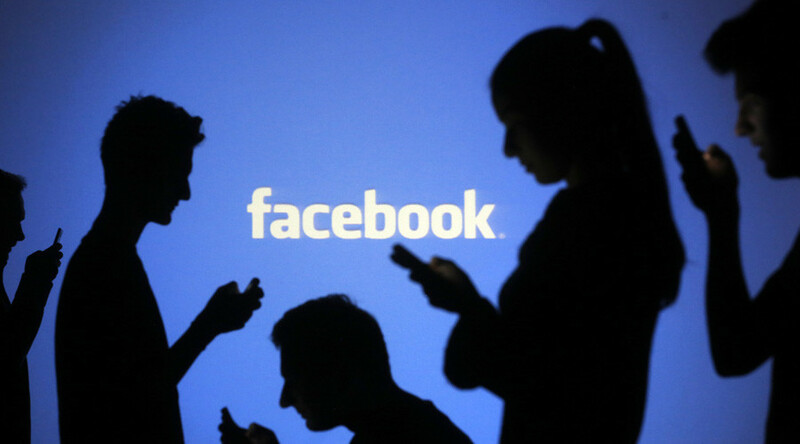 So just how sensitive has Facebook's media clampdown tool become? Annie Machon: I think this is the first blow in Facebook’s self-proclaimed war against so-called fake news. Both Facebook and Google in the wake of the shadowy PropOrNot list of 200 news organizations around the world that are supposedly peddling fake news, but actually just offering an alternative to the corporate US media, and RT was included in that. Facebook and Google in the aftermath said that they would start to censor all these outlets. I think that is what we are seeing with Facebook now is that they are using the excuse of copyright to censor legitimate news channel and stop them from covering a world event that the rest of the world is going to watch without any problem on other channels. RT: At the World Economic Forum in Davos the Facebook representative said that their organization is dedicated, as they put it, to tackling so-called fake news and the whole phenomenon that we’ve heard of lately. Do you think this is part of that? AM: I think it is part of that. And it is not just Facebook and Google who said they are going to take on the so-called fake news. It is also the European Union who issued a diktat last November saying that they were going to set up a body to counter fake news. We see countries like France and Germany already peddling this idea that there is going to be hacking and counter-democratic activity in the run up to their elections this year. So, they are using this. But I think it is interesting to see that the copyright has been used as a pretext for this censorship. I’ve been saying for years that the media organizations are being used by the governments as proxy organizations in terms of trying to control the information we can ingest over the internet and the information we can actually access over the internet. RT: The suspension is imposed ahead of Trump's inauguration and won't be lifted until the day after it. What do you make of that? Is it a coincidence? AM: Absolutely not. It is a first blow in the so-called battle - fake battle against fake news. And let’s just remind ourselves how this so-called concept of fake started. Somehow information was leaked from the DNC last year and the people who received that information, WikiLeaks, said very clearly it was not a hack, it was actually a leak. And yet the corporate media in America has said again, “No, this was Russia hacking the DNC.” And then somehow it became Russia hacking the American elections, Russia hacking voting computers, Russia hacking the energy grid in America. None of this has been proven. Some of it has been actively proven to be false. But when Obama expelled the 35 Russian diplomats from America back to Russia before Christmas, that sort of solidified as fact that the Russians had done something wrong. There is no proof whatsoever. So this fake war against fake news is predicated on a big lie. I think there are strings have been pulled in the background, shall we say. Particularly, in America. And the big media and internet corporations in America have been proven year after year to be very much in bed with the US state and with the US secret state. We know this of course because of the revelations of Edward Snowden. You know, all the big social media giants signed up to allow access to their databases by the secret agencies in America, starting with Microsoft back in 2006. We know that they are complicit; we know that they have been compromised. So, who can tell where this is going to go. There is a sort of all-out fight between the president-elect anyways and his so-called intelligence agencies. RT: The original source mentioned as alerting Facebook denies it raised a copyright flag. AP confirmed RT had the rights for transmission. Facebook is the only entity yet to answer. Why isn't it being more pro-active to remedy this considering this being a pretty big media news? Chris Bambery, political analyst: It is pretty big media news, and I am really puzzled. Donald Trump is about to become President, and he is painted by much of the world’s media and spy agencies as being President Putin’s chum. And yet there is this continuing escalation of the Cold War with Russia, even hours before Trump is elected. Facebook is a giant American transnational. It is not known for its own transparency over these things. It does lead one to suspect that there are sections of our US elite who really do not like Donald Trump and want to create difficulties between the incoming presidency and Russia. 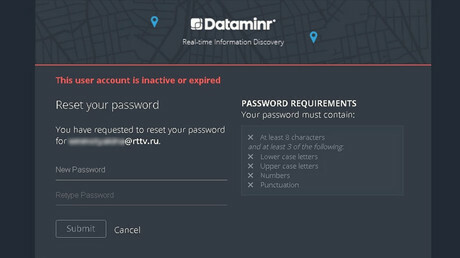 RT: RT's troubles with Facebook come a day after the online news alert service Dataminr refused to renew our contract with them. That stems back to the CIA also being denied access and saying the same should apply to RT claiming we're tied to Russian intelligence. Is that the real reason, do you think? CB: On that basis, if you are being blocked because you receive state funding, the BBC World service is funded by the British Foreign Office, so why would that not be blocked? And I am sure Radio Free Europe and various other outlets have received funding from the American state. So, if that is to be criteria than a lot of leading news agencies would be off social media, and off air. This is going to feed into the conspiracy theories because it is so bizarre and strange. Well, the biggest fake news story I’ve seen was the so-called dossier about Donald Trump, and they didn’t seem to be blocking that, which was all over Facebook. Again, I find it rather strange.